When you see a Hase Pino rolling past, your immediate reaction is to stop and stare. What exactly is going on here? How does it work? Is it even a bicycle? But what you think doesn’t concern Pino owners – the long-term ‘pinonauts’ I’ve met would never ride a traditional bike again. So what’s in the Pino’s design that makes users so exclusive to this weird looking ride? Let’s take a close look at them, with the assistance of a few experienced users. 1. 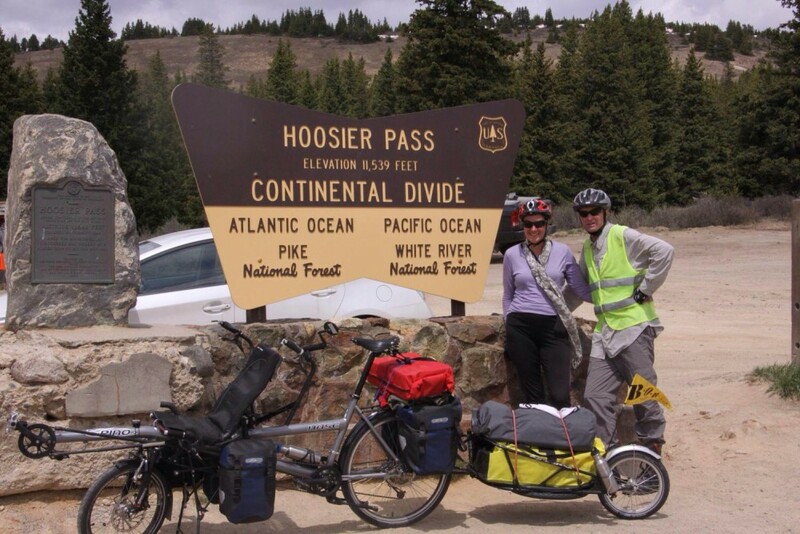 Keith & Tamar (ThreeWheeling): Cycled many a kilometre in Europe and Asia and have a wealth of info on their website. 2. Julie & Mark (A Pino a Bob and a Dream): Have done lots of touring in Europe and the USA. 3. 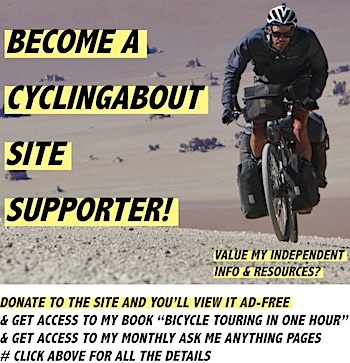 Brendon & Emma (TotallyTandem): Cycling the North and South American continents 2013/14. 4. 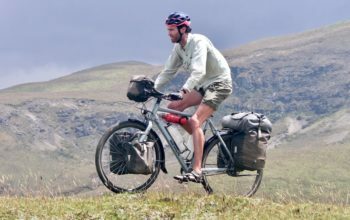 Marcel & Alena (Frischlufttour): Cycling wherever they damn well feel like it for however long they enjoy it – started two years ago and have crossed Europe and Asia in this time. 5. 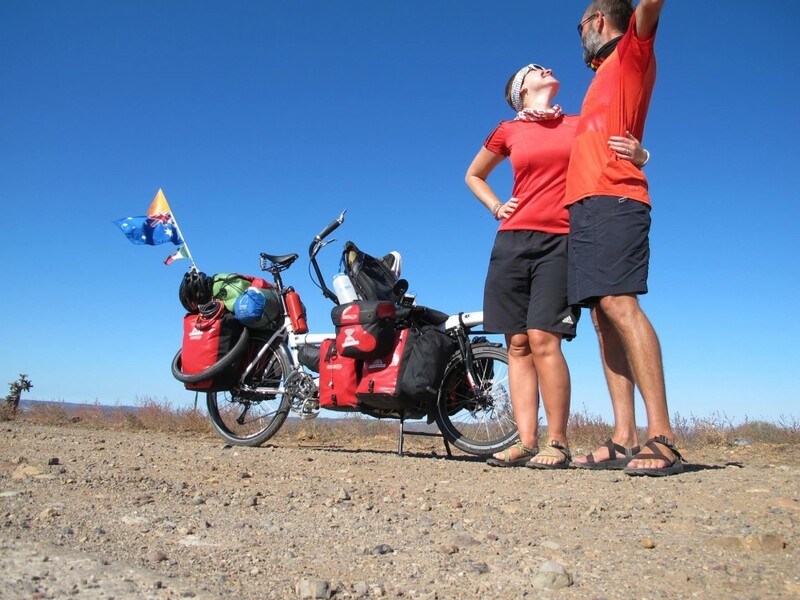 Hubert & Sylvie (Nosrayonspourunsoleil): Cycled from France to Thailand via Russia in 2013/14, but have completed many small trips in Europe too. So, What’s this Pino Thing!? 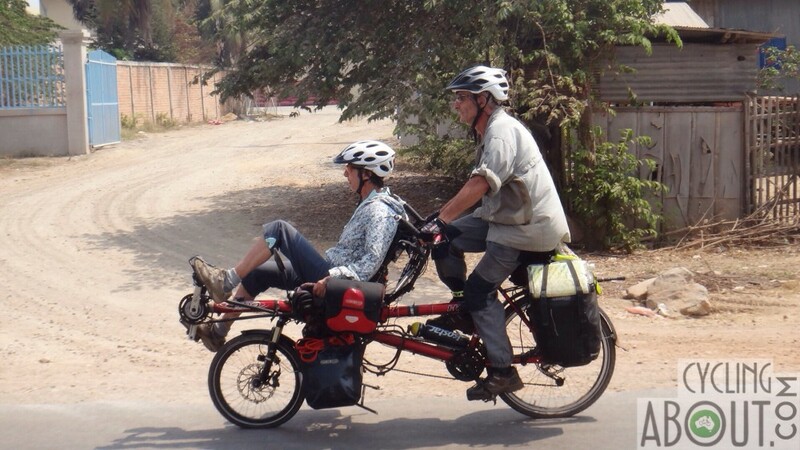 The Pino is far from conventional; it is in fact a semi-recumbent tandem. 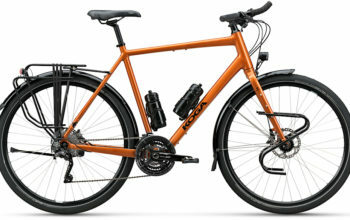 The most notible feature to this bikes’ design are the seating positions: the stoker rides reclined up front and the pilot rides at the rear, with access to steering, brakes and gears at their fingertips. These seating positions are the opposite to regular tandems where the stoker has an obstructed view. There is an independent freewheel for the stoker, which gives both riders the ability to ‘coast’ when they want – an uncommon feature on traditional tandems. Hase are up their their third generation frame and it’s getting better with every version. The last frame generation was released in 2009. Sylvie and Hubert cycling with me in Cambodia. 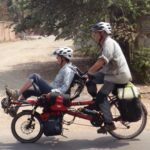 What type of people use semi-recumbent tandems? – Many stokers have had medical issues which have drawn them to a recumbent seating position. These medical issues include congenitive discs, arthritis, the inability to sit on a saddle, damaged nerves or shoulder/neck injuries. – Others have had confidence issues on a single bike, and are hence sold by the idea of a tandem. They’re drawn to a semi-recumbent tandem as the stokers have not liked the prospect of staring at their pilots back all day on a regular tandem. I love this picture of Bremma in the Americas. The stoker has a great view and can anticipate road conditions. This is the most spoken about advantage by users. 180 degrees of views for both cyclists. Easy to talk with each other and share the journey. Pino riders love how easy conversation is. It’s also great to be able to easily support each other on tough days. Solves a lot of issues for cyclists with medical issues. The recumbent seating position takes strain off many joints. Emma fractured her coccyx two years prior to their Americas trip and finds it hard to ride a regular bike more than 20 minutes. Alena also has issues with her coccyx and cannot sit on a regular seat. Sylvie has issues with her spine/back, as well as hands, so riding a regular bike isn’t possible. When the stoker is not a confident solo cyclist. Emma was nervous about handling a loaded touring bike, riding by herself on long days and negotiating heavy traffic. She was unlikely to ride the Americas’ on a solo bike! Conversation starter. Everybody is very excited about this bike; you immediately draw attention. Kids and also adults love to sit on it, Marcel sometimes takes them on a short ride which is an unforgettable experience for the little ones! For people who hate to draw attention, this might not be the right bike. Marcel and Alena think it’s very important to always remind yourself that it’s often the first time people see something like this and to react accordingly (waving, smiling, let them take photos, let them touch it and sit on it etc.). Stoker movement doesn’t affect the handling as much as on a regular tandem. 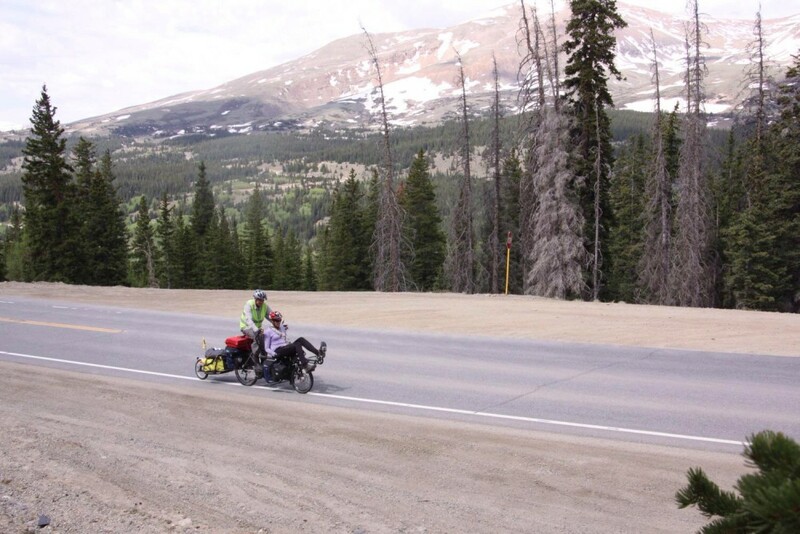 As the stoker is low and reclined over the front wheel, Keith believes that movement doesn’t seem to affect the handling of the bike as much as on a regular tandem. It folds. The Pino folds in two, making it easy to put on a bus/train/plane. Short wheelbase. Given that the stoker sits over the front wheel, the wheelbase is short, which affords a much tighter turning circle. Great for in the city or negotiating pot holes on rough roads. The bike is easy to ride without a stoker. Keith doesn’t mind doing a shopping run by himself, in fact, there’s a whole seat to put your goodies! It’s a one-size-fits-all bike, which as we all know, never perfectly fits all. Brendon is 185cm and finds the handlebars to be too low and wide for comfort. Mark also finds the pilot’s position to be too cramped. Although Hase believe that a 195cm rider could use the Pino, it seems that you’d want to be 180cm or below to be comfortable. The bike isn’t ideal on steep terrain. It is all about what engines are on board, however the recumbent seating position is never as good on an incline. The reason for the bike being inferior on hills is that the stoker can’t put their body weight into the pedalling action. There is only one spot for a water bottle cage. Comparing this to my standard tandem, where I have space for seven water bottles. Most Pino riders clamp cages to their handlebars, or use hydration packs. The pilots’ handlebars can hit the elbows of the stoker. Alena (stoker) rides with her elbows ‘in’ on rough roads in order to avoid contact with the Pino’s handlebars, as a quick swerve to avoid a pot hole is all it takes. The frame is not known for its longevity when touring. I talk frame failures below. The frame is flexy. When I’ve ridden the Pino, flex is the most obvious thing to me. Coming from an incredibly stiff Co-Motion tandem, I have less confidence cycling the Pino compared to a traditional tandem. Interestingly, none of our Pino riders have brought this up. The stock wheels are inadequate for touring. The Pino comes with 32 spokes per wheel, but from the experience of our tourers, 40 or 48h is necessary given the load you need to carry. The chainring sizes are not standard. Bremma found it hard to obtain spare chainrings for their crankset on their Pino Tour and believe that Hase should set up the bike with a standard Shimano crankset. It’s noisy. The chain grinds through the chain guides, and according to Keith and Tamar, no amount of adjustment makes them silent! Most Pino riders did get to test ride a Pino prior to buying it. JD Tandems in the UK and various shops in Europe allow 1-3 day test rides with all of your gear. Contact Hase to find a shop near you. Hase have produced their Pino in aluminium, steel and even titanium. The current range is entirely aluminium and every model folds in half. I think it’s safe to assume that aluminium has worked best for Hase, otherwise they would surely have continued building Pinos with other materials. Most Pino tourers I’ve spoken to would prefer a steel frame, but only provided it was stronger than the current aluminium frame. 100kg Kickstand. The 100kg kickstand is one of the extras people love most about the Pino. It is wide enough to make the bike super stable allowing you to park it anywhere. The load capacity is great enough for children to sit in the recumbent seat without risk of damaging the stand. Ergo Grip extension bars. Although many Pino users gawked at the cost (180€ for some grip extensions?! ), they are well liked by those who do use them. Mudguards. The same as any touring bike, mudguards keep grime off you and make cycling on damp surfaces much more enjoyable! Cycling with Marcel and Alena in Turkmenistan. In order to set the bike up to make it comfortable for you, most pilots have changed their contact points: seat, pedals, grips and bar ends. Water bottle cages. On a Pino tourer, you need as much water as you can get. Mount cages to the pilot’s seatpost, behind the stoker’s seat and on the handlebar. Hydration packs draped over the back of the recumbent seat. This is one of the better ways to carry water on the Pino because both riders have easy access to the straws. The only downside is that hydro packs get mouldy very easily in warmer climates. Handlebar extensions from the stoker seat to mount handlebar bags. 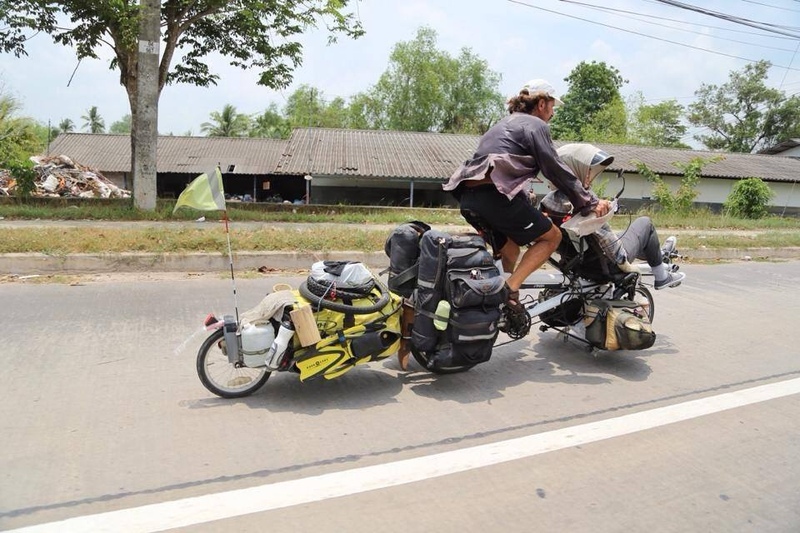 This modification is popular with a Pino tourers, although Marcel & Alena have noted that if you crash, your bikes weight would crush/damage the bags. 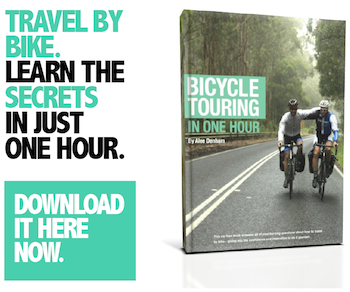 Chainring sizes for touring. For touring, the standard chainrings are not small enough – 30t front chainring is the smallest, when really a 24t is required. The difference between the stoker and pilots’ chainrings may be too great as well – Bremma swapped the 38t for a 48t on the stoker crankset. Keith and Tamar have made a bunch of small modifications to their Pino (available on their website), including a ‘parking brake’, a mudguard skirt, seat covers, and stand modifications. Brendon would like to see much more flexibility in the initial parts setup. He thinks you should be able to have the ability to choose your lights, saddle, gearing options and wheel build options at a minimum. You can actually buy the frameset alone, so Bremma believe that if they were to do it all again, they’d build the bike from scratch. Our friend Sylvie has lived with early onset arthritis most of her life. It was important for her to not only have a recumbent bicycle, but to have a customised seat which is shaped to her back. In order to get a custom seat, Sylvie first got a diagnosis made about her discopathy from a doctor who is a back specialist (thoracic surgeon?). She then contacted a small company which adapts wheelchairs for disabled people according to their specific problems. This company then made a mould for her back, and inserted it into the existing Pino seat. Most long-term users have had one, or multiple frame failures at the lower coupling weld. Mark and Julie noted that they’re constantly worried that the frame would break on tour. According to Keith and Tamar, the weld quality of the newer frames does allow them to get more distance out of their frames, but there’s still a design issue that Hase need to address. A few examples of broken Pino frames, clearly a design flaw given they’re all in the same place. 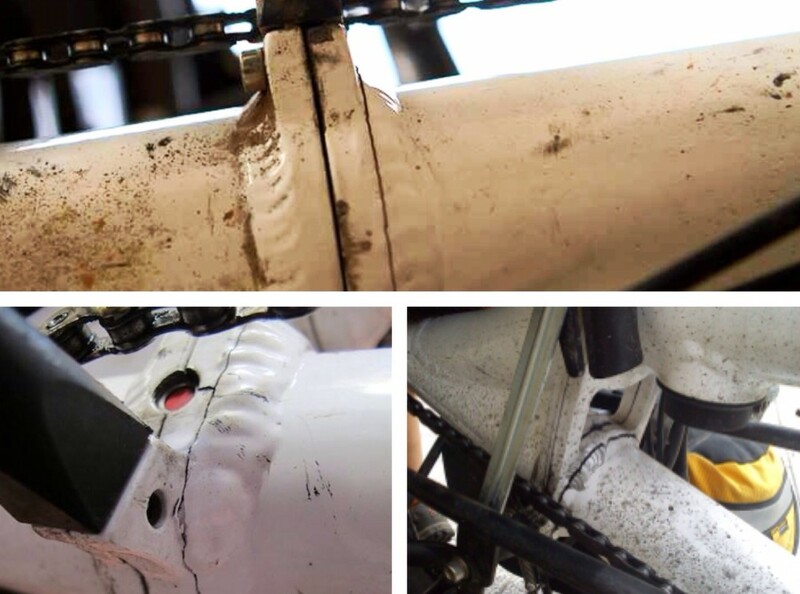 Some riders have managed to find skilled aluminium welders who have kept their bike going for an additional 1000km. Getting the aluminium frame re-welded is difficult, but do-able. Steel welders are easy to find, aluminium welders not so. Keith and Tamar recommend asking in: bike shops, car/motorbike repair shops and at local markets (at the stalls where they’re selling metal tools and the like). 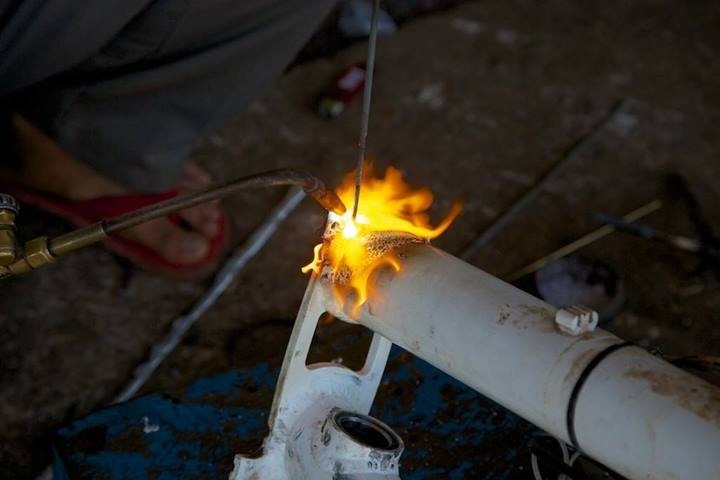 Marcel and Alena’s Pino frame getting a new weld in Cambodia. On the two occasions Keith and Tamar have had their Pino re-welded, it’s always been a bit of an adventure with lots of being passed from pillar to post until they’ve finally been able to get the job done. They recommend that you try to get some idea of what the weld process is like, so that you can oversee it – one guy wanted to weld straight over without grinding out the old weld first! 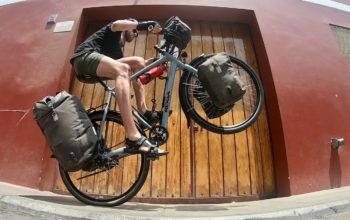 – Hase believe that riders should either; keep the total bike weight (including riders and gear) to below 210kg, or use a two wheeled trailer to spread out the load. More on trailers below. – Bremma are a bit more cautious when riding downhill on dodgy roads. – Keith and Tamar avoid rough roads altogether, even if they are quieter. – Mark and Julie have never experienced a frame failure, and they believe that by keeping weight off their front rack has prevented this. Wheels. Custom built wheels are essential, as wheels are the most common point of failure on all tandems. The Sun Rhyno is the 48h 26″ rim to go for (if you can find one), the Ryde Andra 30 is the 32/36h 26″ rim of choice and the Gusset Trix a great 20″ 48h rim option. Chainrings. Bremma have worn through a few chainrings, perhaps a bit prematurely. Stokers freewheel. The bearing has been known to wear out between 4000-15000km. This is a proprietory part, so it’s recommended to carry a spare. Rear wheel freewheel body. Keith and Tamar had issues with their freehubs, and hence recommend carrying a spare freehub body. Front derailleur cables. If the cable is set up on an awkward angle, it is easy to snap front derailleur cables. Bremma on tour in the Americas. 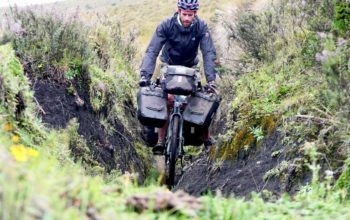 Most users will agree that a trailer is essential for bicycle touring, keeping weight off the frame and thus preventing failure. Everyone I asked tended to agree that the Bob Yak is the best trailer for long-distance touring. However, I contacted Hase about trailers and the Pino, and they are adamant that a Pino should pull a trailer with two wheels only. Hase are currently revising their user manual and making sure that all dealers are aware of this. According to Hase, the side to side torsional twisting of single-wheeled trailers comprises the Pino frame. So, it’s best to use either a two wheel trailer or none at all (provided you’re under load capacity). There are many disadvantages to trailers, including extra weight, storage (and hence carrying more stuff than you may need! ), more spares required, harder in the wind, and makes the bike longer/harder to manage. Two-wheeled trailer manufacturers include Burley, Radical Design, Surly and Wandertec. Pino riders all agree that Hase has them covered. Hase are often helpful, quick and courteous when responding to enquiries. Issues of warranty are dealt with without question, and they’re prepared to ship new frames to anywhere in the world. Hase have even been known to cover the costs of replacement parts – quite unheard of in the bike industry! Although the Pino looks like it would use proprietary parts, it’s suprisingly easy to find parts for. Most of the issues around sourcing parts are not limited to the Pino, but rather all touring bicycles. The hardest parts to find include Avid Code disc brake pads (most bike shops in Europe, North America and Australia don’t even carry these), spokes for the front wheel and good touring tyres in both 20″/26″ (like the Schwalbe Marathon Mondial). The stoker freewheel is only available from Hase, so it’s recommended that you carry a spare on tour. How Could Hase Improve Their Design? Bremma believe that by removing the folding mechanism, Hase’s frames would probably be a lot stronger. Other users like Marcel and Alena would like to see steel Pino frames without a folding mechanism make a comeback (although redesigned as there were durability issues with the early steel frames). – More ware bottle mounts required. In fact, the stoker seat could be used as a place for water bottle and cycle computer mounts. – The plastic tubes around the chain need to be redesigned. They are noisy, and in many cases liable to breaking. – Space needs to be made for handlebar bags. Tourers love these! – The stock gearing needs to include lower gear ratios. – The rear rack mounts are often not aligned well. 40-48 spokes should come as standard on the rear wheel, and 36-48 on the front. This is a recommendation for all tandems really. 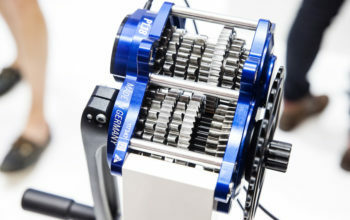 Bilenky Viewpoint: Similar in design to the Pino, however made with steel, custom made for each customers requirements, and the bike uses independent gearing for the stoker. Circe Morpheus: Also similar to the Pino, but it employs two 20″ wheels. 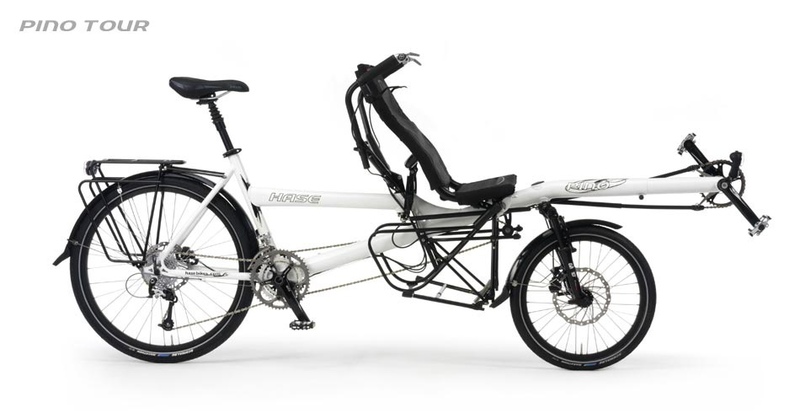 Azub Twin: This is actually a fully-recumbent tandem, but I’ve popped it here because it is also of interest to many Pino riders. Do you ride a Pino? Would you like to add anything?